ajok is using Smore newsletters to spread the word online. Shirley Chisholm was born in Brooklyn, New York on November 30,1924. Chisholm spent part of her childhood in Barbados with her grandmother. After graduating from Brooklyn College she began her career as a teacher and went on to earn a master's degree in elementary education from Columbia University in 1946. Chisholm served as director of the Hamilton-Madison Child Care Center from 1953-1959 and as an educational consultant for New York City's Bureau of Child Welfare from 1959 to 1964. In 1968 Shirley Chisholm made history by becoming the United States first African American congresswoman. Beginning the first of seven terms in the House of Representatives. After initially being assigned to the House Forestry Committee, she shocked many people by demanding to be reassigned. She was placed on the Veterans's Affairs Committee eventually graduating to the Education and Labor Committee. Shirley Chisholm fought for the rights of women, Native Americans, Haitian refugees migrant farm workers, and the poor. She worked for colleges and took stands on issues including the Vietnam War, Compensatory education and minimum wage for domestic workers. 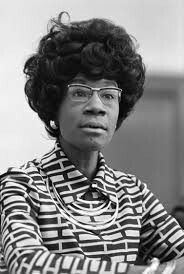 Chisholm was a member of the National Organizations for Women, a cofounder of the National women's Political Caucus, and a founding member of the Congressional Black Caucus in 1969. 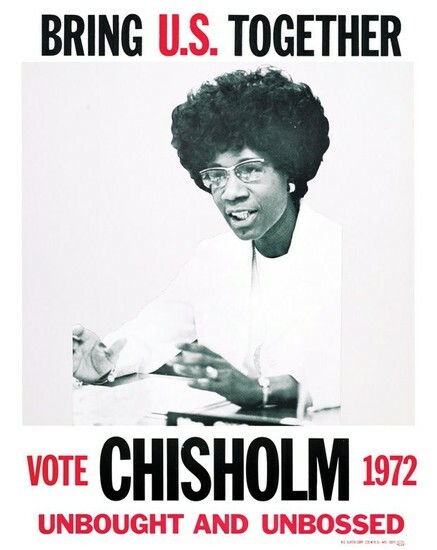 Chisholm went on yo make history again to become the first African American candidate to run for the U.S presidency when she ran for the Democratic nomination in 1972. Chisholm ran against Richard Nixon, Thomas Eagleton and George McGovern. She did not win the race. Shirley Chisholm married Conrad Chisholm from 1949 to 1977. Then, she later married Arthur Hardwick Jr.
Chisholm published two books during her lifetime, Unsought and Unbossed in 1970 and The Good Fight in1973. 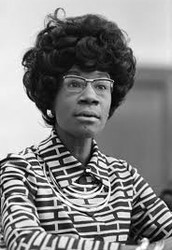 Chisholm was awarded an Honorary Doctor of Laws degree by Smith College and she was admitted into the National Women's Hall of Fame. Chisholm was also awarded with the Presidential Medal of Freedom. Shirley Chisholm died of a stroke on January 1, 2005 in Ormond Beach, FL. Shirley Chisholm impacted black women the most. She made people have a different on African Americans. Shirley believed that black women needed to be given a chance to fly and be able to try different things. In Chisholm's mind all woman were capable of doing things that men can do.